Sunny loves to squeeze into uncomfortably tight spots on or around me so it's nice to see her get a taste of her own medicine with Rosy! 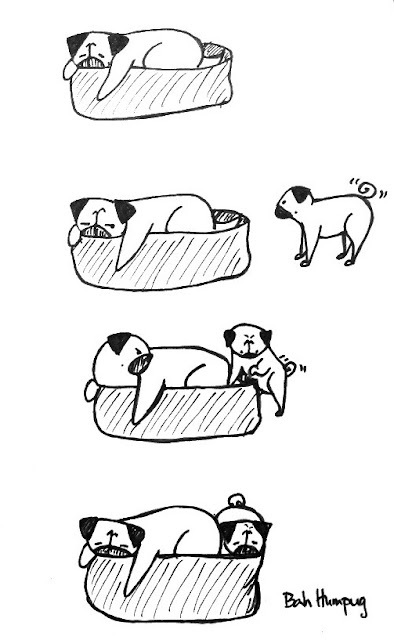 My pugs often do this. We call it a "Pug Pile". The one sneaking in is always so cautious, as though asking permission.